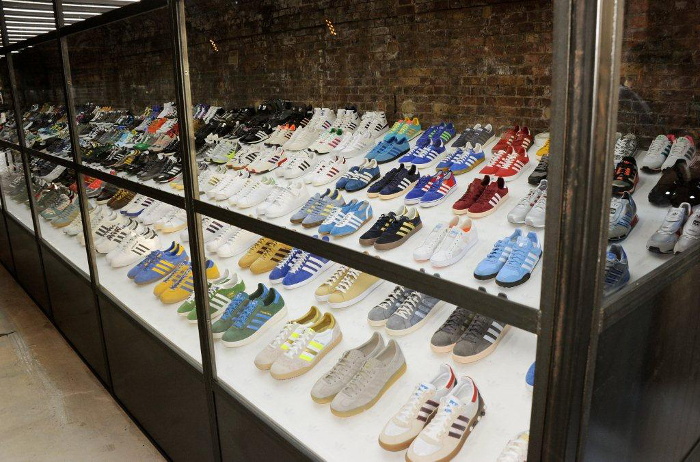 This Thursday evening saw the opening of a new exhibition from adidas titled Spezial, put together by long time adidas fan and collector Gary Aspden, himself now a working adidas consultant and a friend to many of the world’s biggest collectors of the brand with the three stripes. 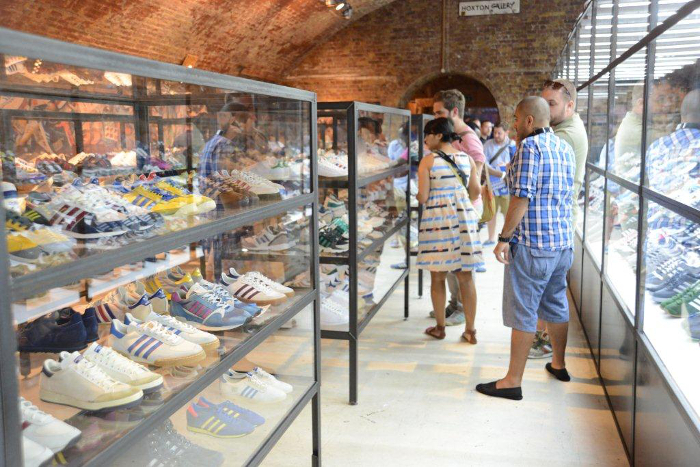 Housing 650 pairs of rare, vintage, deadstock, re-issues and collaboration styles from the personal collections of numerous adidas collectors, the Spezial exhibition is a chance to literally walk through the adidas archives and experience adi history first-hand. 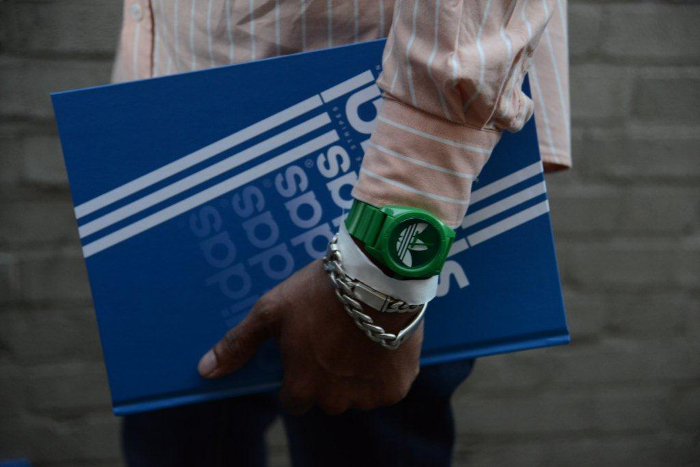 There will be plenty in there you’ll recognise, styles you’v e only heard about, and more than a few surprises too. Aspden’s own personalised BAPE football boots were a highlight for many, alongside a the whole history of adidas x BAPE collaboration models. 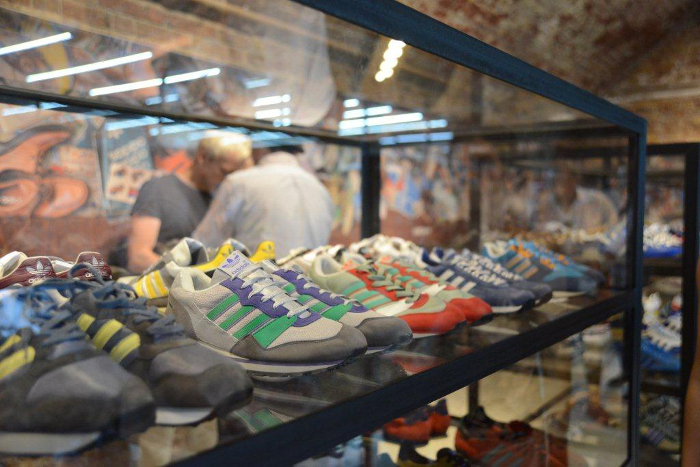 Spezial also includes styles signed by a number of famous names including Nas, NERD, Public Enemy, Eminem, Noel Gallagher, and more. 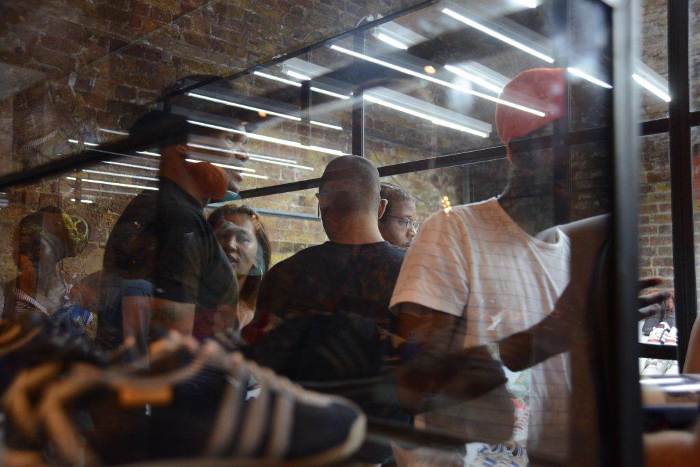 adidas collectors are a special breed, dedicated and loyal to their passion, and they turned out in their droves for the launch on Thursday night, re-discovering forgotten favourites and salivating over the grails they were yet to get their hands on. 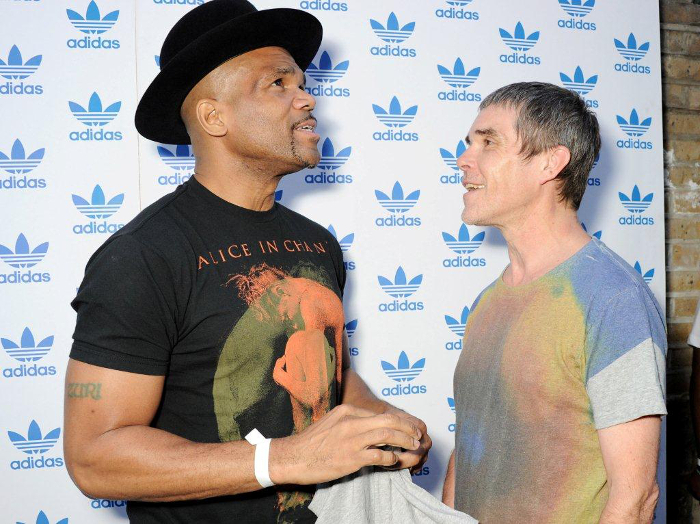 As you might expect with such a iconic brand, this included a few famous faces too, most notably the Stone Roses’ Ian Brown, Bobby Gillespie of Primal Scream, and Run DMC legend Darryl McDaniels, who were all in attendance to celebrate the exhibition’s launch. 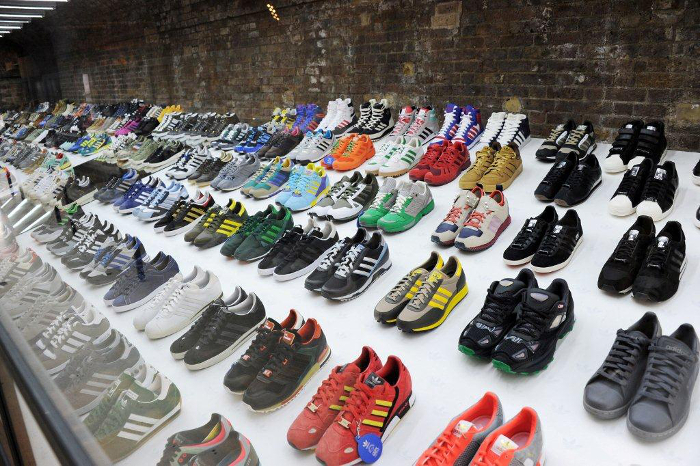 I highly recommend that any ‘sneakerhead’ or indeed anyone with an interest in sports footwear makes the trip to see it for yourself. There’s far too much history in the display cases to talk about here, and really it’s something that deserves to be seen away from a computer screen. 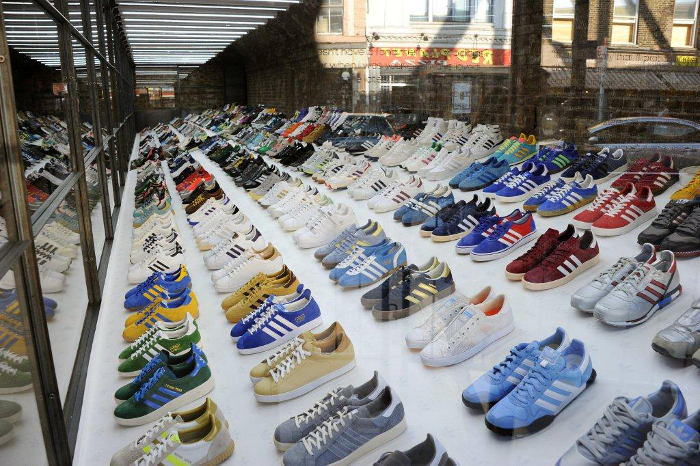 At a time when ‘sneaker culture’ is at an all time high, this is a unique chance to look behind what the ‘sneaker’ means in 2013 at some genuine history. 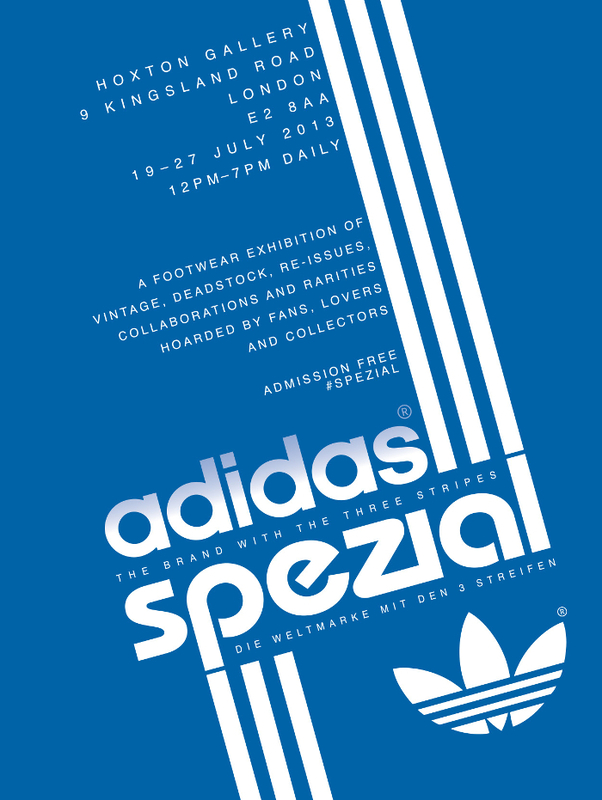 Spezial is open at the Hoxton Gallery now and runs until the 27th, 12-7pm. Check out some images from the opening night below.